Wizard101 Fishing, it's either not important to you or it is. 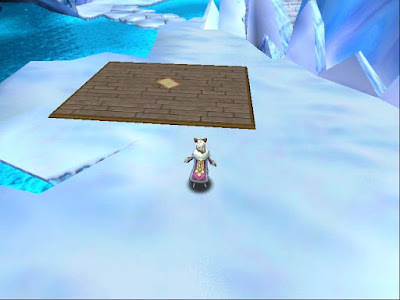 Many players I talk to just do the fishing quests and some fish for crafting. Myself? I fish to have each type of fish in every size. Most of all my fish go into my storm house. 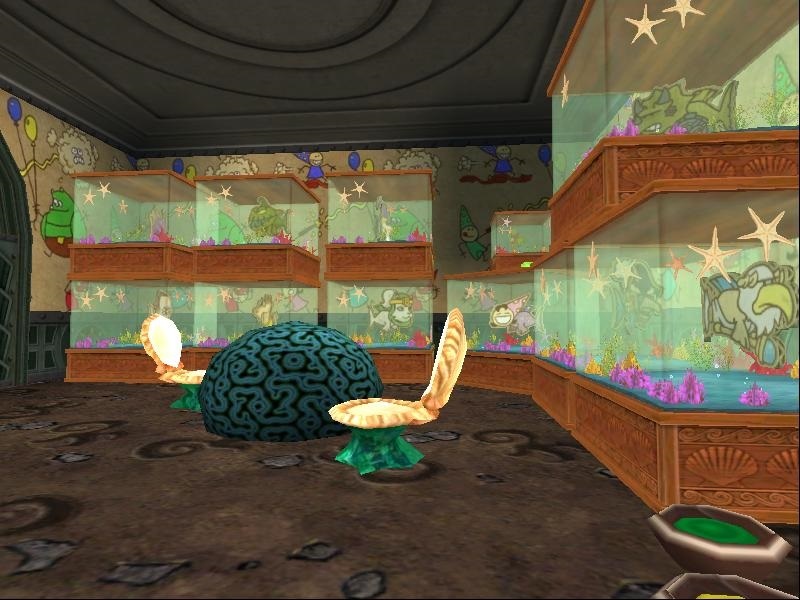 Much like this Doodlefish room I created in the image above. 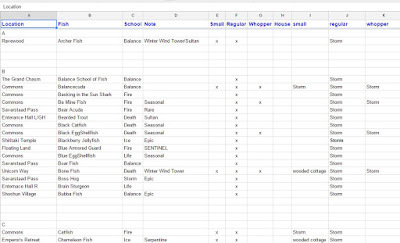 I work with a spreadsheet from google docs. 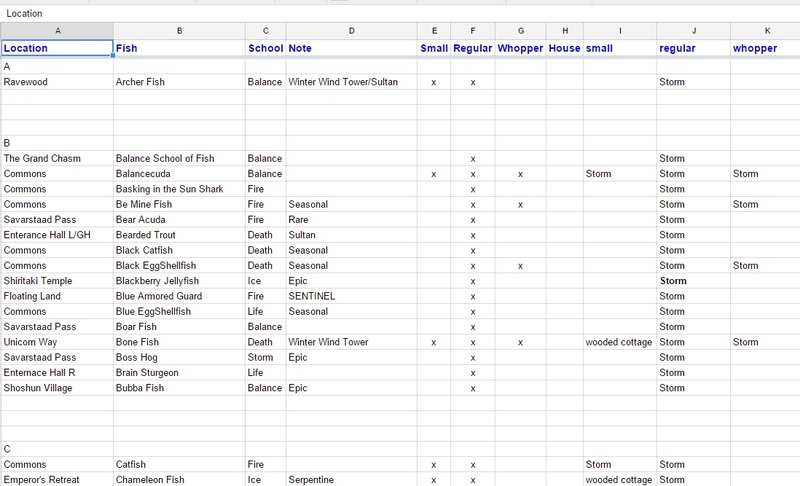 This is so I can find where all my fish are and see which ones I'm missing. Google Docs is free to use and you can make them private for only your eyes. As you can you can see I have most of the regular size fish. Still working on the small fry and whoppers. Do you know what is helping me get these other size fish? I'll tell you it's fishing tournaments. Fishing tournaments always ask for a small fry or whopper. I fish once a day to try for the tournament fish. If I catch one I check my list and add it to the house if I need it. 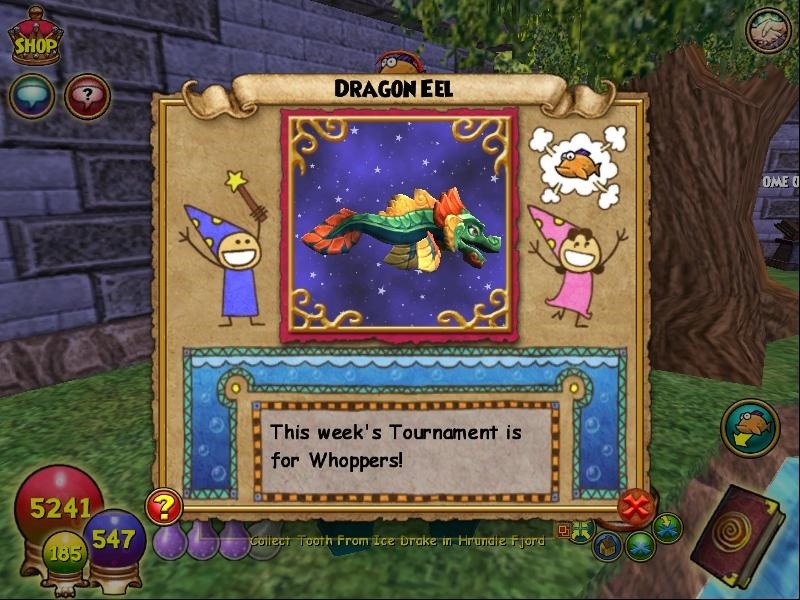 This week is the Dragon Eel whopper. Just remember if you want to keep the fish don't add it to the tournament. 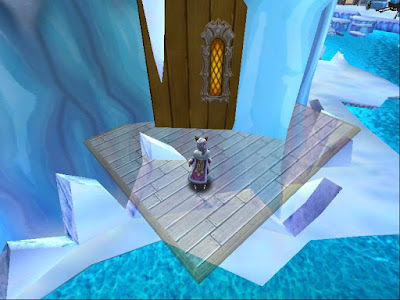 There are many places to find the information you need to find where to fish to catch the Dragon Eel; Wizard101 Wiki , Wizard101 Central Fishing Guides, Stars of the Spiral Fish by World, Swordroll's Fish Locations and for fish that are at bundle houses Adventures of the Spiral Castle Fish. Those are a few I use all the time . 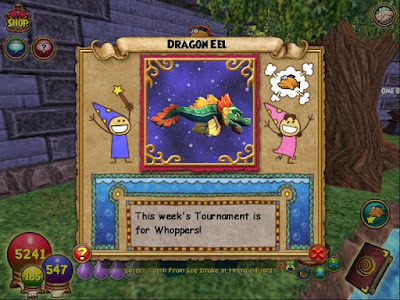 So what fish can you think of that would be a fun Wizard101 fish? What would you name it?I have many ideas and I noticed we have no fish that start with the letter Q. Can you think of a Q fish? Let me know in the comments or on Twitter. Now I must be off , I have fishing to do. I wish everyone could of won, so many fantastic entries! Simple as it sounds, think of a candy heart, (like in the image) and make your own Pirate101 saying for it. 1. 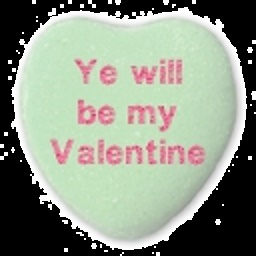 Make your very own Pirate candy heart saying. 2. Saying should be no more than 3 lines. One to two words each. 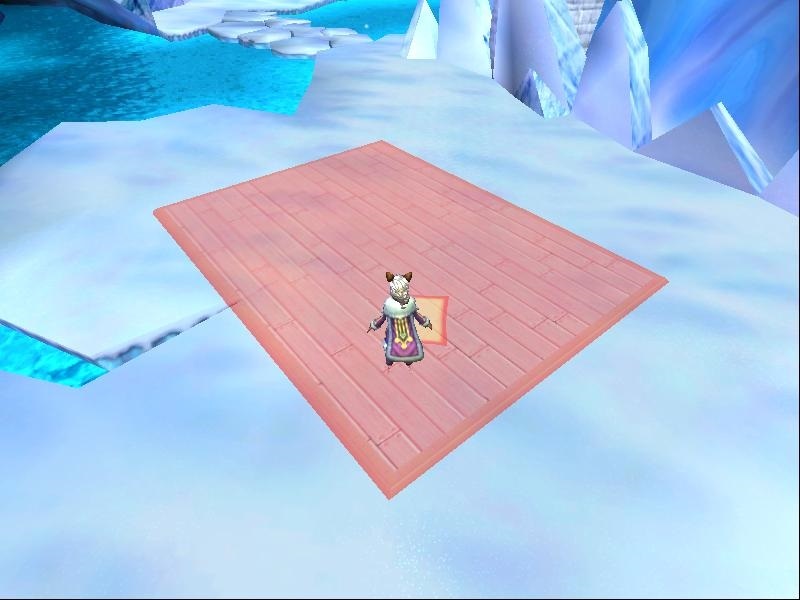 Example is shown in the Image above. 3. 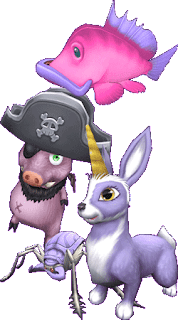 All saying must be family friendly, Pirate101 related. 4. Send your entry to ContestPaigesPage@gmail.com, along with your Pirate's name such as Perilous Paige. Title email Pirate101 Valentine You may only enter once. 5. If you win your candy heart will be made and posted. If you're under the age of 13 please have you Parents or Guardians permission to entry. 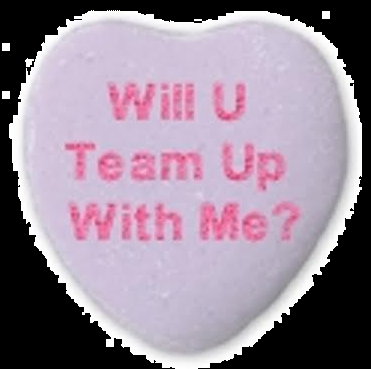 Simple as it sounds, think of a candy heart, (like in the image) and make your own Wizard101 saying for it. 1. 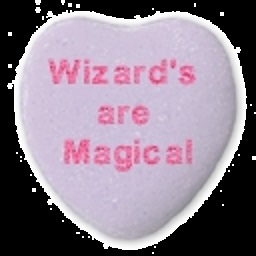 Make your very own Wizard101 candy heart saying. 3. 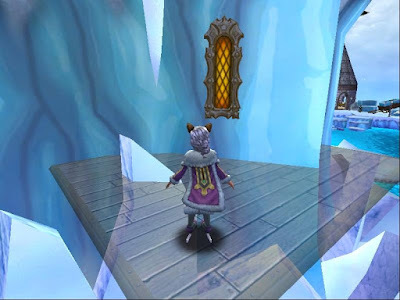 All saying must be family friendly, Wizard101 related. 4. 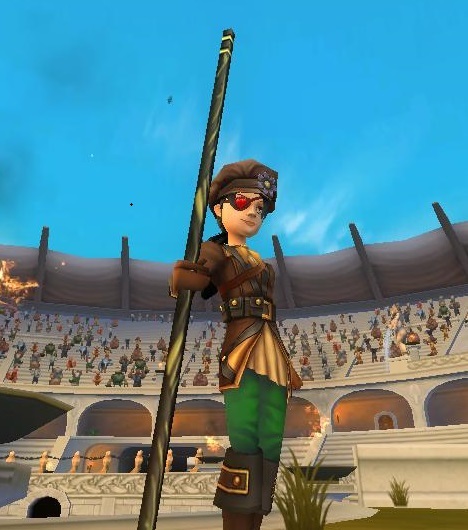 Send your entry to ContestPaigesPage@gmail.com, along with your Wizard's name such as Paige MoonShade . 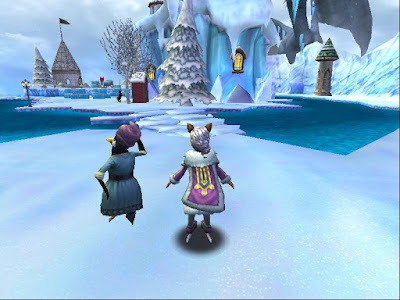 Title email Wizard101 Valentine. 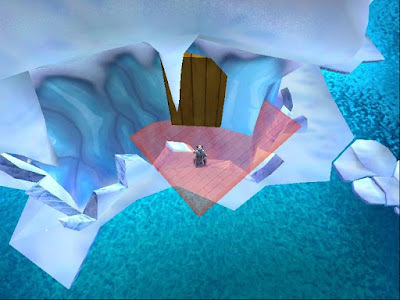 You may only enter once. Now until February 18, 2016 friendship festival items are available in the crowned shop. 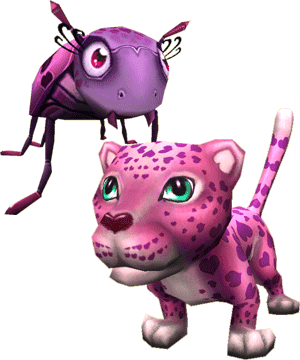 Five new pets!! 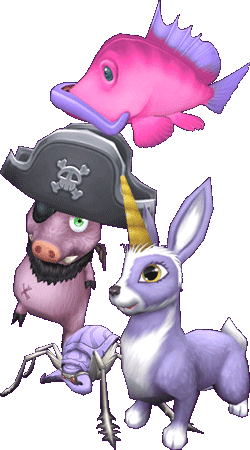 Beetle My Valentine (4000), Bunny Hug (3500), Friendship Grouper (3500) , Huggle Hoggle (5000) , and Hunny-Bunny (2500). Don't forget your Valentine eye patch for 100 crowns! Professor Falema popped into the Pirate101 message boards today , She talked about everything that has come, Pvp and the pet Ki put out to honor David Bowie. 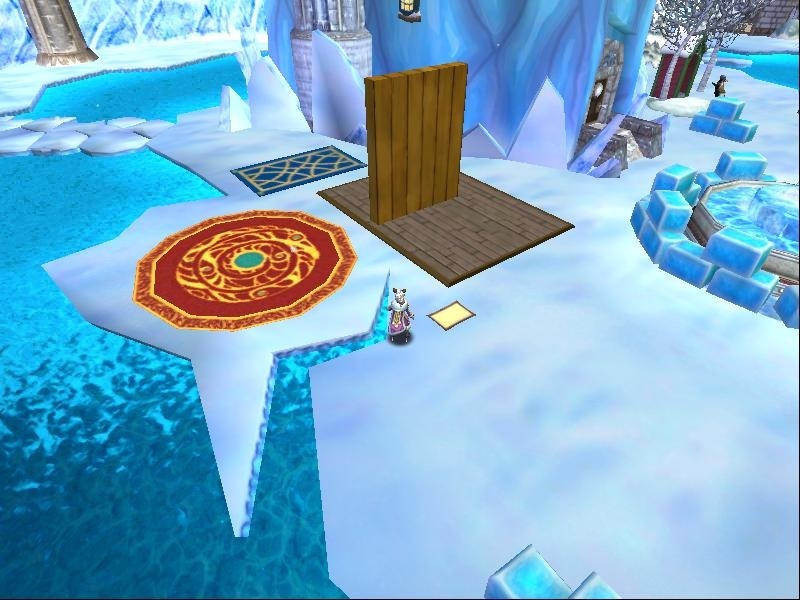 So many things like present boxes and the polar express mount! With all these goodies she drops an image of this fine fellow? Black beard? 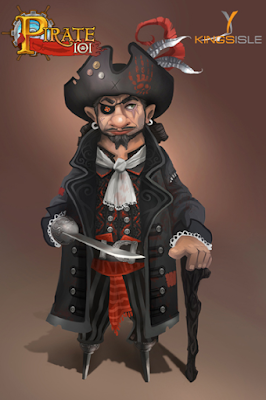 Peg leg? Who could he be?? I'm sure we'll find out soon enough.